This versatile pair of pierced earring jackets is feminine and sophisticated. 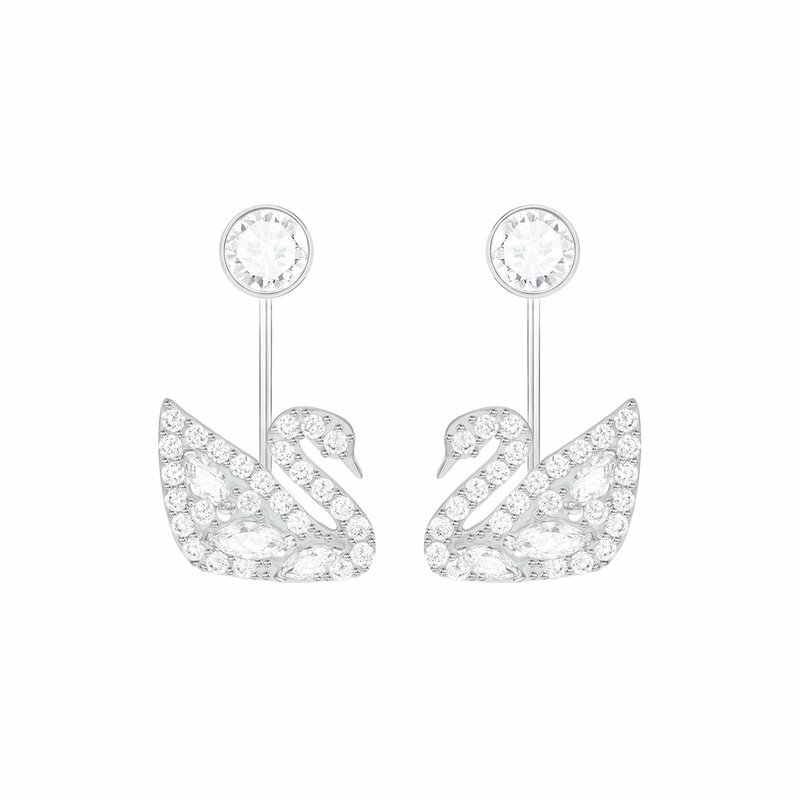 Wear the rhodium-plated crystal studs alone or add the dangling swans, embellished with pavé and marquise-shaped stones. Classic sparkle, on-trend.